Wow. It’s hard to believe Detroit Tigers spring training is well underway in Lakeland, Fla., and we will be down there soon for a couple of games. I’m not complaining! There is something hopeful about spring and a new baseball season. No one expects the Tigers to do anything spectacular this year, but we will still be loyal fans. We’ve been through this before — the “building years.” It will be nice to see the young talent coming up from the minors. Another passion of mine is history. So I was thrilled to learn (and write) about the letters Lisa Mower Gandelot had passed down to her and that fellow Grosse Pointer Dr. Thomas Singelyn had published in a book: An Aide to Custer: The Civil War Letters of Lt. Edward G. Granger. The beauty of the book is that it was heavily footnoted by a historian, so readers can learn as much, or as little, as they wish to as they read the hero’s letters home. On a somber note, there were errors in our story last time about The Helm at the Boll Life Center (formerly Services for Older Citizens). The story should have noted that while Henry Ford Cottage Hospital rents the building to The Helm for a nominal fee, prior to moving into the building (which occurred in 2013), the organization had to undertake a capital campaign to raise funds to retrofit the aging building to make it suitable to house a senior service program. Literally hundreds of generous community residents, banded together and successfully raised the $2.2 million it took to cover the renovations. A critical donation by John A. and Marlene L. Boll helped move the campaign forward, hence the full name of The Helm: The Helm at the Boll Life Center. This significant renovation turned The Helm into a bright, busy gathering place for seniors in our community. With housekeeping out of the way, I would like to thank all of our loyal readers, advertisers and businesses, without whom this magazine would not be possible. I had the pleasure of meeting Danielle Carlomusto for this issue’s feature about her new children’s album, “Motown is Gro-Town.” The collection of fun and accessible songs has become a favorite in our household. Her album is a celebration of growing plants and imagination away from devices. It’s a joy and one that has inspired me to make better use of the yard and garden, not only for my benefit, but for that of my son. Ah, something to do instead of watching another Wiggles episode! During our interview, we chatted about our children’s behavior in the wake of digital entertainment versus (quieter) free play. When we stick to books and simple toys, our toddler is noticeably calmer; his tantrums nonexistent. I’ve always joked that I don’t have a green thumb, but after purchasing our house last year, we’ve inherited a large vegetable garden. I kept it weeded that first summer, but amid the chaos of moving, did not plant anything new. And, frankly, I was overwhelmed at the prospect of gardening. Danielle has inspired me to change that this year. I imagine growing vegetables as a family, encouraging Graham to dig in the dirt, as one of the album’s songs so sweetly sings about. Danielle has assured me I can do it, despite my lack of experience. “That’s the joy of planting,” she said. “Anyone can do it.” Let’s hope so! I am accepting all gardening tips! While March can hardly be considered spring in Michigan, I look forward to days of softened soil and planted seeds. Wish me luck in the garden. 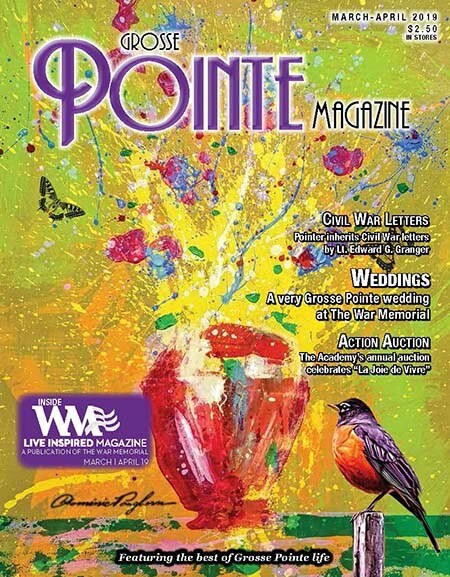 If you or your family or friends live in Grosse Pointe and have not received a copy of the magazine at home, contact us! If they are out of the Pointes, they can subscribe for just $20 a year. Again, please give us a call or shoot us an email! 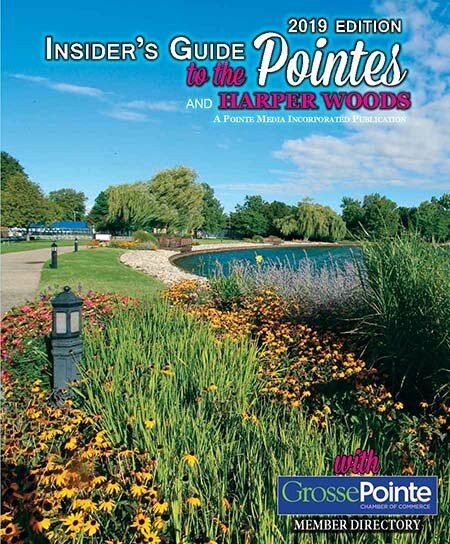 Publishers John and Terry Minnis of Grosse Pointe Woods look forward to discussing our exciting new magazine and business venture with you! Call us at (313) 640-8955 or send email to publisher@grossepointemagazine.com!